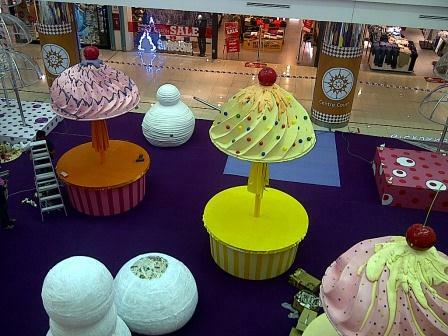 This year, One Utama shopping complex at Bandar Utama is adopting the cupcakes and candies theme in their shopping complex. These pictures were taken during my recent trip there but I am sure by now their deco would have been completed. 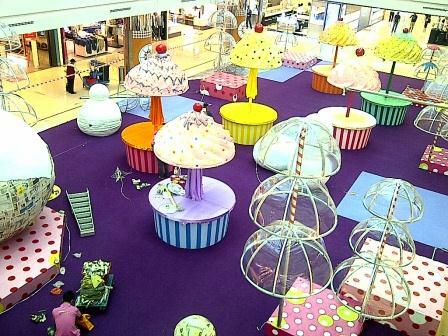 Their decos are usually very nice and creative. Each year a theme is developed…. 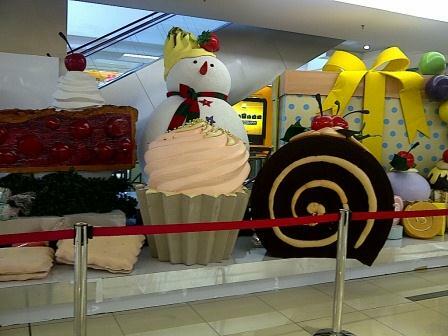 well these yummy yummy decos would make one want to eat more….hee hee. When I visited it is still in the midst of being developed. Already you can see from the partially done effect it is quite good. This is located at the Old Wing. 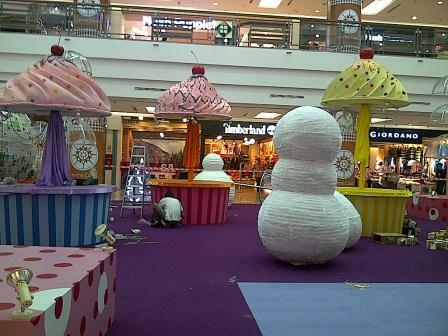 Cupcakes, snowman are in the process of being created and brought to life. 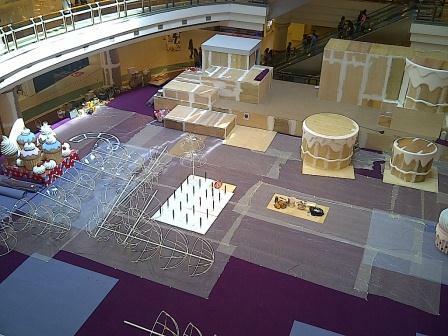 In between around the mall, there are Christmas decos here and there. As this is found on the walkway between Old and the New Wing. When I was there, the new wing decos were still being put into place. By the time this is published, I am sure it’s all going to be completed. 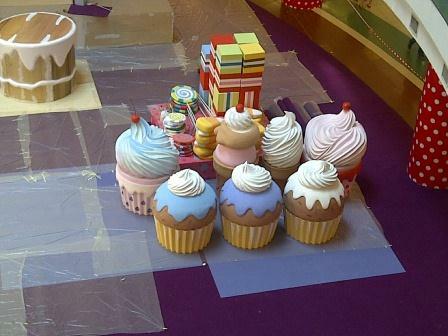 Cute little giant cupcakes and biscuits… just waiting to be used as decoration.